Take me off the list! Finally got called for NYPD. So that's one less person of the the 20k that took it lol Good luck guys hope you all get on. Hopefully the list moves as quick as they claim it will. I'm saying that because of the comments. Tbta does a fine job right now as an agency. Police status doesn't make these guys better. A search warrant is what makes these guys different from police. They can't kick down doors. Tbta can stop and frisk, stop a car do check points, run plates, they have license plate scanners and radars. Getting on the job there will be more to learn. I've read a lot and even with corrections there's bills to give them police status. Corrections already patrols the city so does NYS courts and there is no way anyone can say that if there is a crime being committed these guys won't act. They will act and pursue to the fullest extent of the law. Its a great job what draws us to it is the work and making a difference. 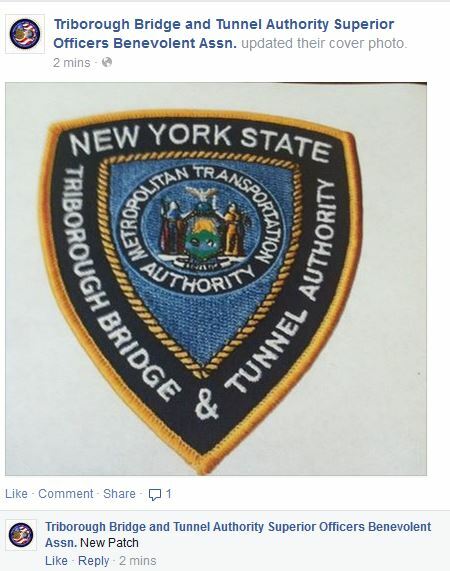 Do some research a bridge and tunnel officer stopped an armed robbery in progress. No where near a bridge or facility. There geographic area of employment is the bridges and tunnels with in city limits but jurisdiction is the state. If they get status that's great for the agency. There patch says authority. Other peace officer agencies says police but if you know the difference which the average person doesn't you know there not "police" doesn't mean they don't get the respect they deserve as an officer. I'm not trying to ramble but the police status not having it doesn't make them wimps they carry a firearm and are trained by professionals to do the job right. Some guys to me it just seems that police is what they want it's how they come off so I say join a police dept. we have regulars on this forum great guys. I've been on here from the beginning. My M.O is getting on the job. When I say worry I don't mean you have anything to hide I mean just get on the job and do the assignment. At the end of the day we all want to get on the job. Correct me if I'm wrong please. "Let me get the job first, then they can get police status, they can also merge with MTA if they want to"
As you can see I want to get the job before any changes if they are going to implement any, that is because I am over 35 so police status will only hurt me. Also I would like to point out " if they want to" that means I personally could care less. Police status in my opinion if it means that much join a police dept. if it's in the cards to happen it will. Worry about getting on the job first. Politics are exactly that politics. Where did you get the idea that I want police status? I dont have anything to worry about. Last edited by krull; 07-02-2015, 11:33 PM. eexactly! well put buddy. if you need that police status, there's plenty of police agencies out there!! I remember a tbta officer saying that they don't need police status because it really wouldn't change their job functions at all. no need. you guys do realise that if they change it to police status, that they will have to enforce a max age 35 limit because of state law (unless military waiver). and if they merge with MTAPD, they will have to take a polygraph exam..just be careful what you ask for. I remember seeing a lot of people at the teat that looks way passed the age limit. I know, that's why i want to get in first if they change the status they will have to grandfather us in. As far as the polygraph, I don't have anything to hide. Most people that I saw at the test should worry about the agility test before anything else. Last edited by krull; 07-02-2015, 05:53 PM. Yeah you're right, leave it as peace officer status. Let me get the job first, then they can get police status, they can also merge with MTA if they want to. BAM!! It's also nice to hear "Bridge and Tunnel Cops" from the media rather than peace officer. It's definitely time for them to get police status. Last edited by krull; 06-29-2015, 06:38 PM. There are currently 6171 users online. 291 members and 5880 guests.